Get Metal Choke Chain Collar of Black Stainless Steel. Trendy look. 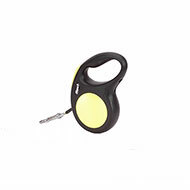 Effective for dog obedience training and safe walking. Strong materials. Keeping your dog busy is easy! 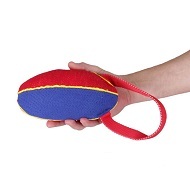 Take this Floating Rubber Dog Ball on Rope for training and playing even in the water! Best quality at crazy price. Searching for a perfect training equipment? You are looking at it right now! This Professional Use Dog Training Pad is super strong and reliable. 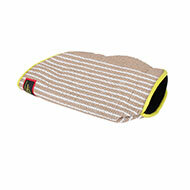 Jute cover will save the tug from damaging and quick wearing out. Dreaming about everlasting water fun with your dog? Here is the solvation - Unsinkable Water Ball Dog Toy. 2 inch size for small breeds. extra strong rubber is intended for a long-term usage. Care about your dog's hair even during obedience training. 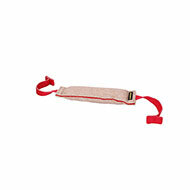 Buy Brass Fur Saver Dog Collar today to start teach your dog good manners. 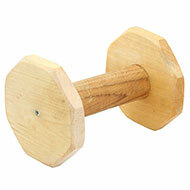 Buy strong and reliable tool for safe daily walking and effective obedience training. This Brass Fur Saver Collar keeps your pet's coat in a perfect condition! Choose bite sleeve for puppies. Quality and new design to succed in puppy training. Easy to hold for a trainer. 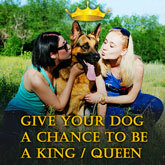 Get unique chance to stimulate your dog's mental and physical activity! Buy Dog Dental Chew Toy Ball of Safe Rubber for neverending challenge. Choose great quality puppy bite sleeve with handle. Teach your dog to bite properly with the help of this gear. Wake your pet's natural instinct of a hunter - order Jute Bite Dog Tug for Training, created specially to help your dog to improve his skills in retrieving and build his strong grip. 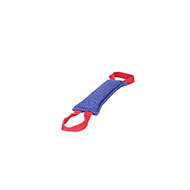 Choose Large Bite Dog Tug with Handles. This practical pad works great for training, as it is extra durable and duly stitched for better durability. Don't pass by this Leather Dog Collar with Brass Circles which will make your pet stand out against a background of other dogs. Classy studs, genuine leather and skillful work guarantees top-notch quality of the item. 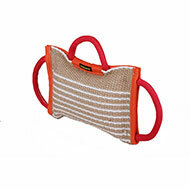 Turn your dog's energy into the right direction with Large Bite Dog Tug Made of Jute. This Bite Training Pad is a top quality training tool for professional daily use. Purchase this Chrome Plated Chain Dog Leash Coupler and you will forget that walking 2 dogs at a time is troublesome. Our coupler will become your magic wand. Is your Dog a hard Chewer? No problem! Take this Interactive Dog Chew Toy and keep your pet physically and mentally trained! Just don't forget to fill the ball with treats. Get high quality bite builder for puppies designed of French Linen material. 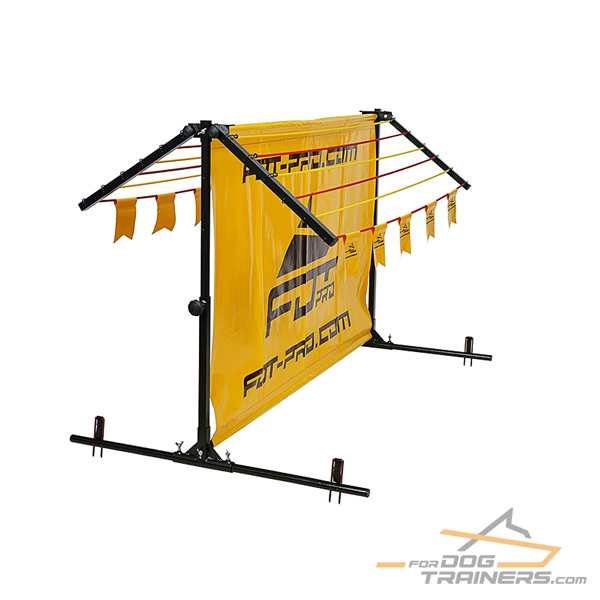 Choose the best equipment for your dog and safe training! 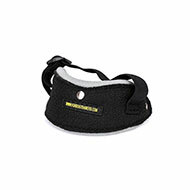 Handle your naughty dog with this Strong Dog Behavior Correction Collar. Smooth links, made of stainless steel, won't damage the fur, as well as will serve for years without rusting or deforming. Challenge your dog! This Tetraflex Dog Toy Food Dispenser will make your dog forget about boredom amd anxiety. Special dog-safe material. Attention for hard chewer's owners! This Dog Toy Treat Dispenser is a multifunctional product that involve the canine into everlasting chew fun. Buy Herm Sprenger Double Chain Martingale Collar. It doesn't twist and gives you the best control. Brushed stainless steel atracts with its silver-like shining. 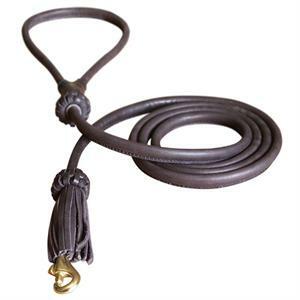 Order Leather Dog Leash designed with braids to gladden your eyes and turn your pet into a royal canine. This top class gear, made of quality materials, serves for years. 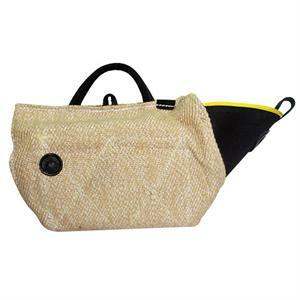 Get quality jute bite builder sleeve designed for puppies. Start puppy training with great gear! Best choice for the first steps! Don't miss the chance to buy this Fashionable Leather Dog Collar with Silver-like Circles and Round Studs. Elaborate design of this gear won't leave anybody indifferent and your pet as well. Comfort and style while walking. Order Herm Sprenger Neck Tech Collar made of non-allergenic curogan and forget about such problem as fur discoloration and skin irritation. Great training tool. Provide everlasting entertainment for your dog! This Rubber Treat Dispenser Dog Ball involves the canine into challenging game. Imagine what a fun this toy can be for your pooch. Buy this White Guide Dog Harness and make your dog be your real help on the street! The harness is nylon, so durable and strong.